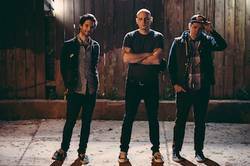 Philadelphia's Beach Slang haev announced a new record this fall on new label Tiny Engines. The band, including members James Snyder (Weston), JP Flexner (Ex-Friends), and Ed McNulty (Crybaby) previously released the Who Would Ever Want Anything So Broken? 7" on Dead Broke Rekerds.